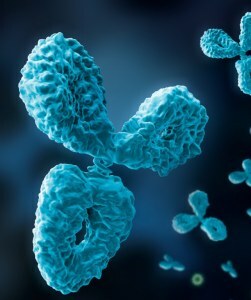 The PD-1 antibody has recently emerged as a powerful ancillary tool for predictiv biomarkers with important therapeutic implications. PD-L1 binds to T cell receptors B7.1 and PD-1, deactivating cytotoxic T cells. Once deactivated, T cells remain inhibited in the tumor microenvironment. Immunohistochimie sur coupes de paraffine fixées au formalin de tissu pulmonaire humain avec un carcinome cellulaire squameux. Medical devices for in vitro diagnostic. Read the instruction for use carefully.